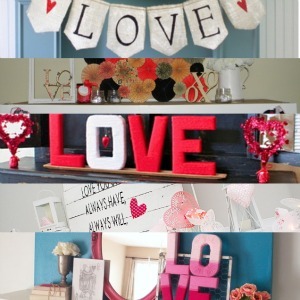 It was so much fun to browse through all of your lovely Valentine’s mantels! I have chosen twelve of my favorites for your viewing pleasure :). Thanks to everyone who joined in the fun this year! Paper Medallion Valentine’s Mantel by My Friends Call Me Suzy. 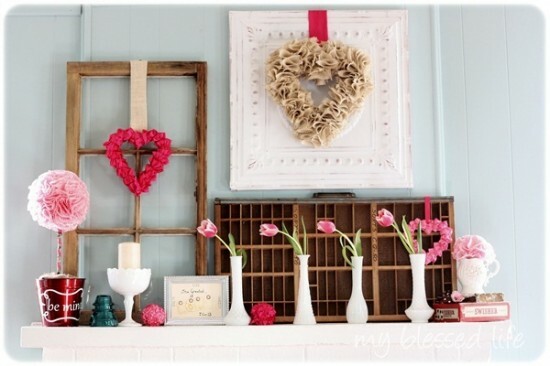 Barbed Wire Wreath Valentine’s Mantel by The Shabby Creek Cottage. 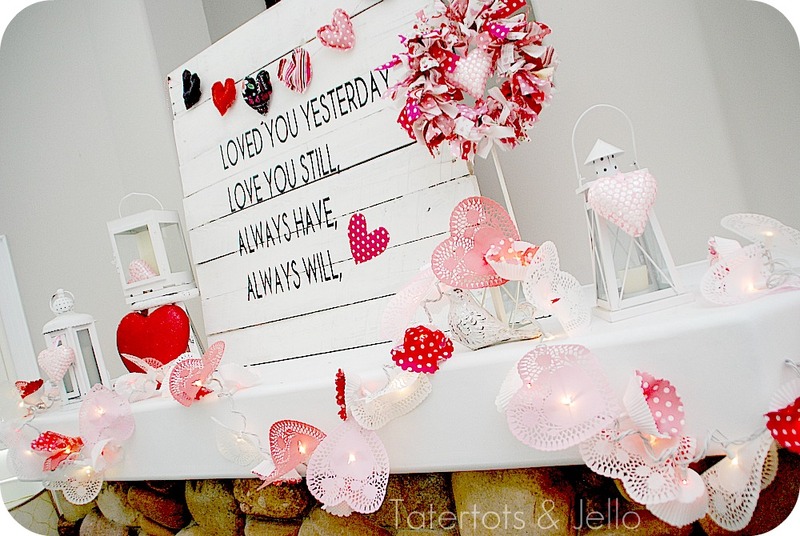 Pallet Art Valentine’s Mantel by Tatertots & Jello. 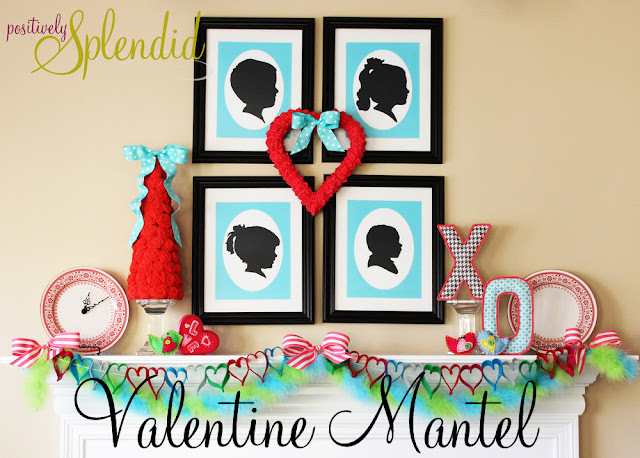 Silhouette Art Valentine’s Mantel by Positively Splendid. Love Letter Garland Valentine’s Mantel by My Sister’s Suitcase. 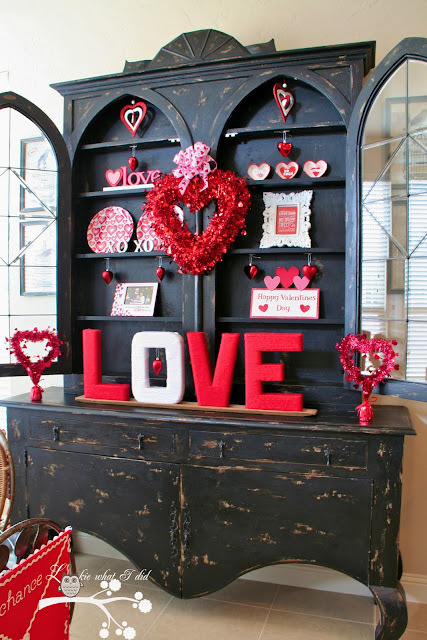 Something Old Something New Valentine’s Mantel by Craftberry Bush. 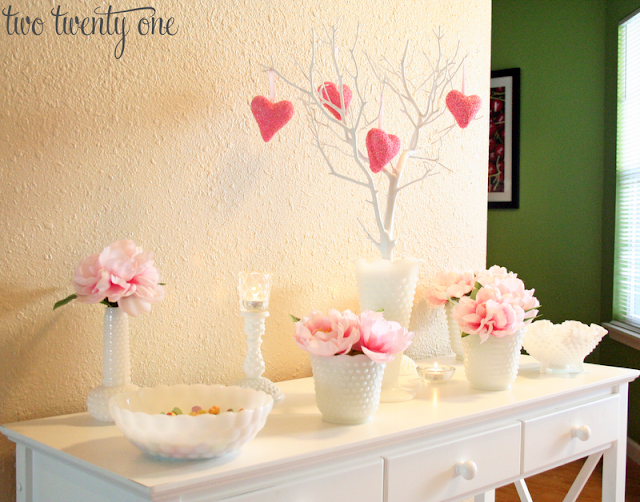 Pretty in Pink Vignette by Two Twenty One. Pink Tulip Mantel by My Blessed Life. 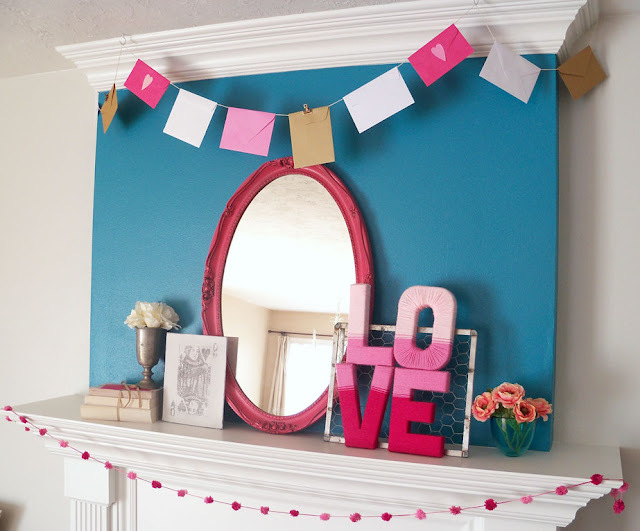 Pink and Fluffy Valentine’s Mantel by Decorchick. 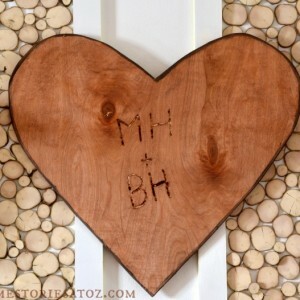 Love Hutch by Lookie What I Did. 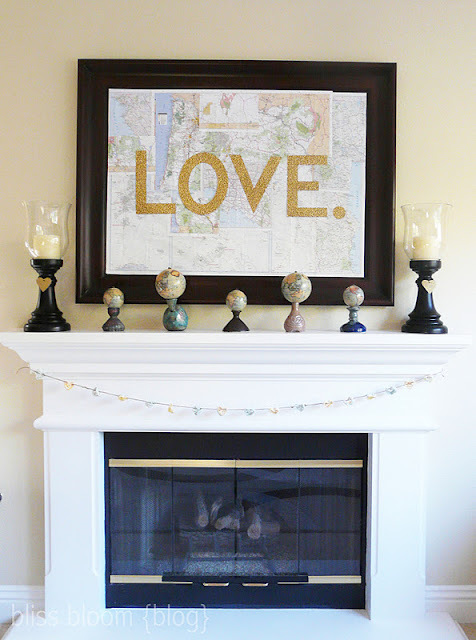 Thank you so much for including my mantel in your list, Beth! I hope you have a terrific weekend. These are great. How funny that your sister did limes! Love all these! Great picks! 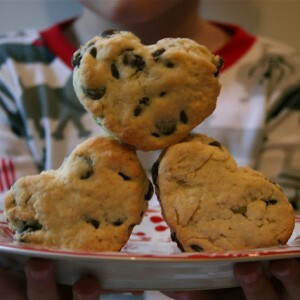 Wow, so beautiful and creative! 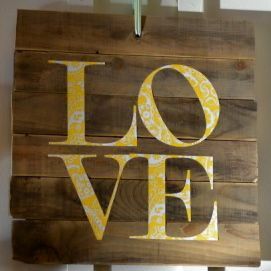 I love seeing what inspires others..
Really cute stuff Beth – thanks for sharing! Fabulous roundup– such fun and beautiful mantels and vignettes! Thank you for including my vignette!